Conti Solar, a national solar engineering, procurement and construction (EPC), O&M and energy storage company, announced today it is nearing completion of 15 solar power projects located in Massachusetts. Ranging in size from 1.2 to 7 megawatts, the projects are owned and will be operated by Eversource Energy, New England’s largest energy provider and number-one ranked utility in the nation for energy efficiency*. The solar projects will deliver clean, renewable, solar electricity to Eversource Energy’s regional customers. Conti Solar was awarded more than 75 percent of Eversource Energy’s Clean Energy Initiative in the first block through a highly competitive request for proposals process. The initiative is part of Eversource’s multifaceted Environment, Social and Governance (ESG) program, a visionary company directive designed to guide the utility’s development in alignment for top financial performance, customer reliability and operational excellence. “Eversource Energy has well-developed and thorough approval processes to ensure our selection of EPC partners meet our high standards on multiple levels, including technical capabilities, solar experience, track record, safety, customer service and competitive pricing. 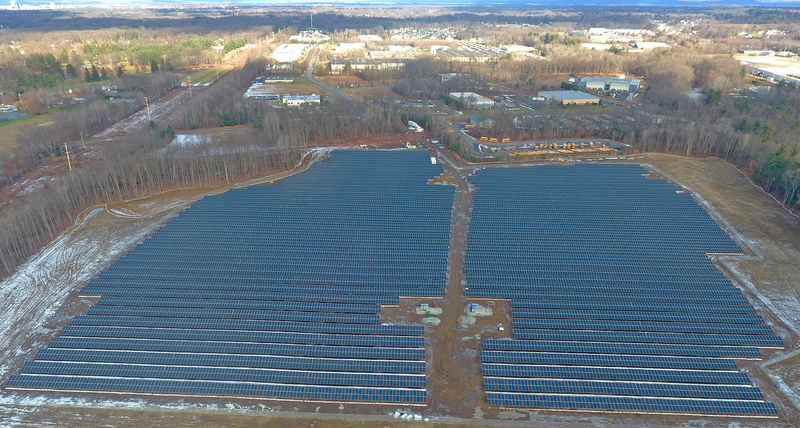 Conti Solar earned this project portfolio and we have been impressed with their level of commitment and how responsive they have been in working with us,” said Mark Kimball, Eversource Project Director – Solar. “Eversource Energy’s vision is to be the best energy company in the nation and Conti Solar is pleased to support them in this consequential endeavor. Conti Solar has installed over 500 MW of utility-scale solar across the country and will continue to focus on first-class execution and outstanding customer service on the work we do,” said Matthew Skidmore, CEO of Conti Solar.